PRICE REDUCED $10,000!!! Ready for Quick SALE! Priced below Tax Assessment! One Owner low maintenance Bi-Level home located at the end of the cul-de-sac. 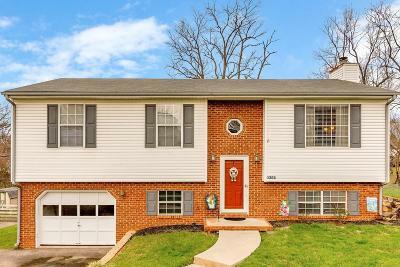 Spacious open plan with 3 Bedrooms, 2 Full Baths, Living Room w/Cathedral Ceiling, Dining Room open to Living room, Large Spacious Family Room with Gas Logs on Lower Level. Gas Furnace only 3 years old. Kitchen appliances are working and pass ''as is.'' Desirable quiet neighborhood, underground utilities, large yard, deck and mountain views.